Living in Kuala Lumpur, the capital city, she makes her home amid three dogs and a Persian cat. Even at the tender age of 24, Barbara's skill is evident. "I remember sewing my first un joined bear from a wool fabric when I was about twelve." 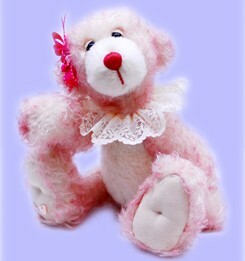 Filling her time with various crafting hobbies, she continued to dabble in teddy bear making. 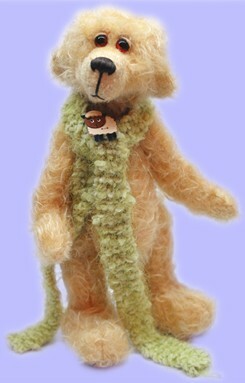 "I made a jointed bear about four years ago and it has since become an addictive hobby for both my mother and myself." 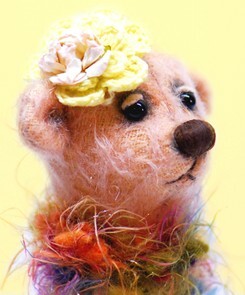 With the help of her mother, who she credits as helping with all her bears, she has found a business partner who shares in her creative dream. It did not cross their minds that one day it would be their business and their passion. 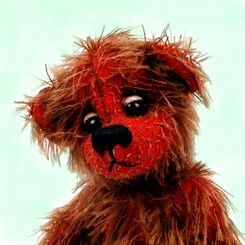 Learning techniques from teddy bear books and magazines, they came about their craft through a self-taught route. They have applied their own ideas, developing one creation after another over the years. "It takes time and experience to acquire good bear making techniques," she concluded. "Along the way, we learned through mistakes, refined our creations and improved our techniques." 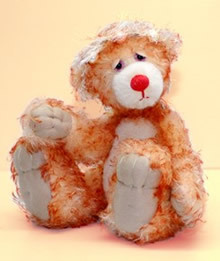 The earlier bears were gifts for family and friends, some have gone to children who need them in various local orphanages. Barbara credits her "mum" with helping her start her business. "She is always there giving me a little hard push and I know with her serious attitude on work, I have a long, long way to go in this business venture." 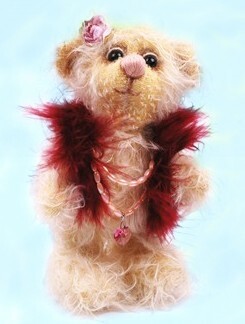 To add a distinctive touch to her bears, Barbara is considering adding beaded jeweler and hand-painting Batik fabrics to dress her bears with. "We have collectors who had requested items from Malaysia to be sent together with their bears and we are now considering selling the Batik too." 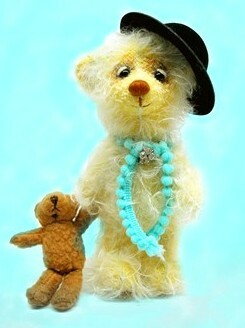 On the leading edge of the teddy bear business in her area, Barbara feels that, "Artist teddy bear making is very much in its infancy today in Malaysia," she remarked, "but we hope we can create the awareness for not only Malaysians but also Asians to recognize and appreciate this hobby on teddy bear collecting and making." 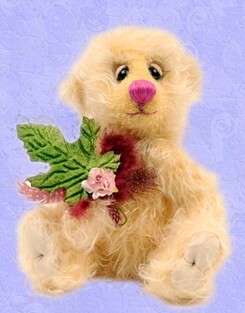 Barbara and her mother now work full time making teddy bears. "We encourage and influence each other. Through our work, our love for animals and our bears, along with learning our new trade, we continue to find ideas and designs that provide inspiration for our own business." Of course, parting with her creations still pulls on her heartstrings. "When I have to put them in their boxes, I always have this feeling of sadness that they are leaving me," adding, "but then I am proud and happy knowing they are finding new homes in faraway, beautiful countries that I can only wish and dream of visiting one day." 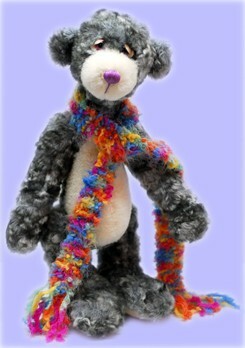 Currently, she uses her web site to sell her bears, but plans to start selling at online auctions soon. 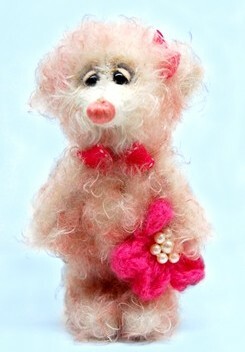 With her mother as her companion, helping build her business, Barbara can definitely look forward to a long and happy lifetime of adding her special touch on bear making. 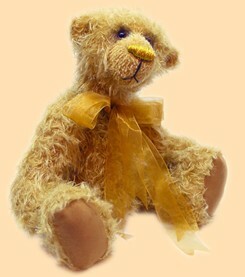 Bear making has brought out in me, a contentment and happiness to do what I enjoy doing." Barbara explains, "and I believe with determination and effort, my work will be appreciated." 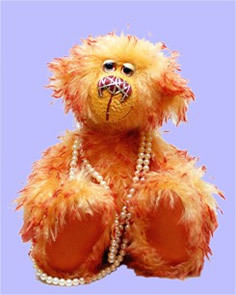 She also added, "It is us teddy bear makers along with the collectors appreciation and support, in the art of artist bears, that will see us going and carry this handmade bear industry into a trade that will never cease." 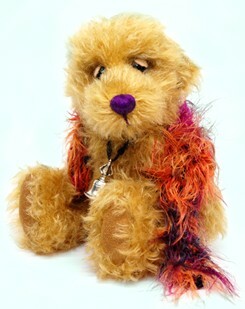 Barbara was also featured in February's 2009 Teddy Patch Newletter. Click on the logo and enjoy reading more about Barbara.